Diamond Jewellery | Stunning Designs at Rocks & Co.
Diamond Jewellery can be a Girl or a Boy’s best friend! All of those born in the month of April are the lucky ‘inheritors’ of this natural gem as their birthstones. Some say Diamonds (99.95 % Carbon) are number one, in the Big Four (top ranking gemstones), which consists of Diamond, Emerald, Ruby and Sapphire. Diamonds come in an array of types sorted by colour; quality and origin. These include Argyle; Champagne, black, white, yellow, pink, and red, to name a few. 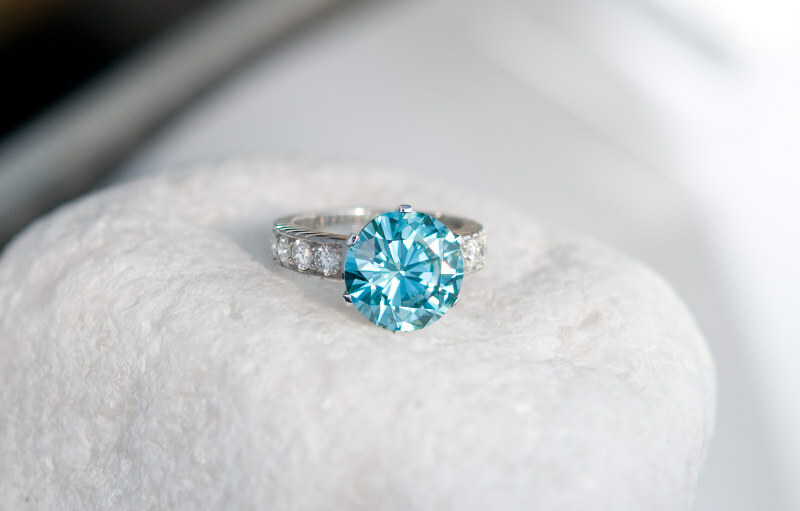 They enjoy a host of flattering cuts including Marquis, Princess, Emerald, Pear, and the Cushion cut. Just dreaming of Diamond Jewellery makes one feel giddy and super pampered. Diamonds are the hardest substance on the planet and at the same time, some of the most beautiful treasures around. Very strong beauties. When you have a combination of Gold Jewellery with Diamonds, the Lux -factor goes off the charts. When you buy or receive a piece of Gold Jewellery with Diamonds, the treasure will certainly take a special place in your gemstone jewellery collection. At Rocks & Co., we have combined a wonderful array of well-made designs to meet all tastes. FYI - All of our Gold jewellery comes with a certificate of authenticity, making it a breeze to shop for Diamond & Gold accessories with us online. How do you “rate” a Diamond necklace? How do you know which Diamond Jewellery is “good for the money”? First, make sure the jeweller is a trusted one with a good record in the business. Once you have established that, follow your own heart and tastes in terms of finding a suitable design. Some say that as a rule, less is more, given the fact that the materials stand alone, and do not need upstaging. Tasteful opulence is great but make sure it is a style that you or your intended really LOVE because this piece will be a keeper. That being said you can actually 'feel it out' with our Rocks & Co. collections. If the item just is not quite what you thought it would be, simply return your Diamond Jewellery within 14 business days for a refund or exchange. When we think of Diamond rings we often think of engagement rings but Diamonds can and are given, received and purchased for their beauty, value and indelible nature, and for many occasions or no occasion at all! Feel free to shop safely online for Diamond rings with Rocks & Co., either for a very reasonably priced engagement ring or a wonderful gift to celebrate a personal achievement in life. 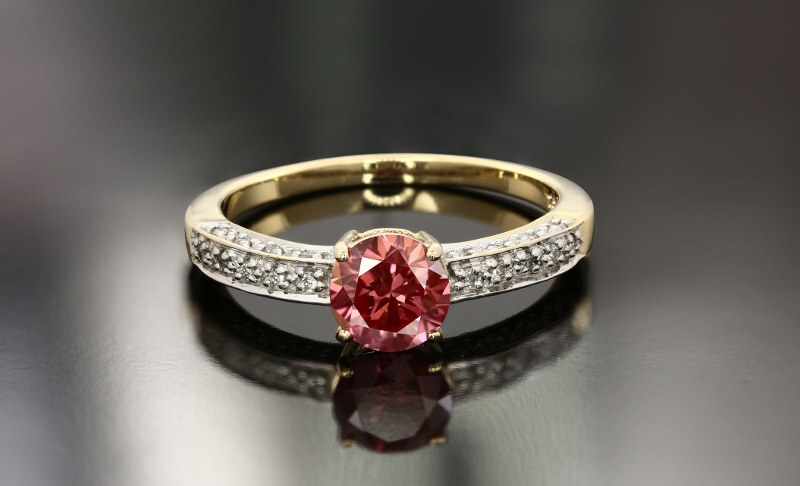 At our shop, we specialize in Gold rings with genuine Diamonds and many other wonderful gemstones. The styles include simple band styles with embedded gems, to classic bands with Prong or Bezel settings. These vary as well from the classic Solitaire to the beautiful Halo setting, with a large centre stone surrounded by a ‘Halo’ or more of smaller complementary stones. Diamond earrings are the ultimate bling. They have literally an indelible rich look, feel and style that complements the visage. Even the simplest of Diamond earrings can make a girl or boy look and feel special. Sterling Silver or Gold or embedded with Diamonds are just divine. In our store, you can find Sterling Silver and Gold settings with universal shapes like hoops, squares, hearts, floral and other shapes, always elegant, especially when set with Diamonds. There are as well the simple classic Diamond stud earrings that seem to look good universally. Easily worn from the office to the cocktail party, as they say. Visit our online shop and peruse the selection of very well priced Diamond earrings. If you want to splurge try a pair of Cavill, S1 Diamond 9k Gold earrings which are at great reduction at the moment, as with a good portion of Diamond Jewellery! Girls and Boys! Now can everyone say “Tennis bracelet with Diamonds”, please!? Now say “Charm bracelets with Diamonds”, please! Now sing “Bracelets with Diamonds!! !” All together now. There is nothing more elegant than a delicate Sterling Silver or Gold bracelet featuring genuine Diamonds! Want to easily make a girl or boy very happy? Supply your intended (even if it yourself) with a piece of Diamond Jewellery for the wrist, asap. Whenever one wave that lucky wrist, the bauble blings with the “scintillation”, “fire” or “sparkle” that only genuine diamonds can. Diamond clarity is the equivalent of diamond quality. It describes the amount or absence of inclusions and blemishes. Genuine diamonds without these birthmarks are extremely rare and expensive. You may notice that a fair amount of Diamonds featured in our collections are S1, meaning slightly included 1. according to the GIA International Diamond grading system. Slightly Included (SI1 and SI2) - Inclusions are noticeable to a skilled grader under 10x magnification-GIA. So, go to our search window, type in Diamond Jewellery and enjoy the online safe and secure, shopping ride!